Since rats will eat mostly anything, their destruction knows no ends. And although they are found more predominately in unclean and older areas, new home builds and spotless houses and businesses are still at risk. They gnaw into materials such as paper, books, wood or upholstery, which they use as nest material. They also gnaw plastic, cinder blocks, soft metals such as lead and aluminum, and wiring which may cause a fire hazard. 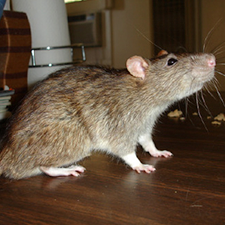 There are two primary species of rats present in the Pacific Northwest: The Norway rat and the roof rat. 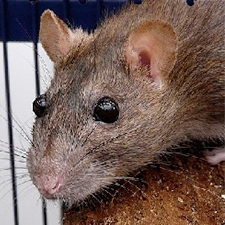 The Norway rat is both larger and heavier than the roof rat. 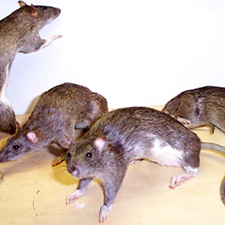 It has a wider distribution and is usually more common, although the roof rat may be abundant in some localities, usually near coastal areas. Norway rats build their nests in burrows under buildings, low shrubs or ground cover, woodpiles, yard accumulations of junk, and garbage dumps. The roof rat, on the other hand, is a better climber than the Norway rat and is more likely to build its nest in walls, attics, vines or trees.